Always wanted to revel in the luxuries of a simple farm life? OH, always wanted to make ridiculous sums of money too? Bet you have been told you can not get both? Well, no more! 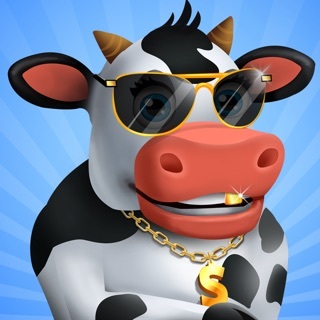 Live the best of both worlds as you automate your farms, earn and invest idle cash and become the hot new farming tycoon! 1-Hire managers to oversee your work as you move on to make bigger decisions! 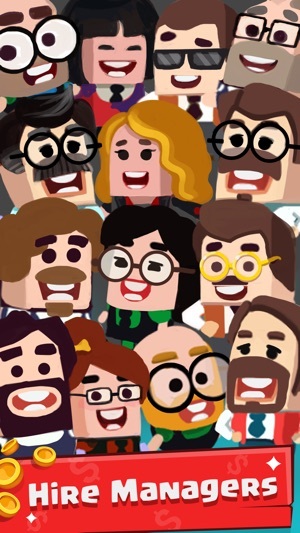 2-Let your happy workers generate cash for you even when you are offline! 3-Make smart investments, and remember, the only way is UP! 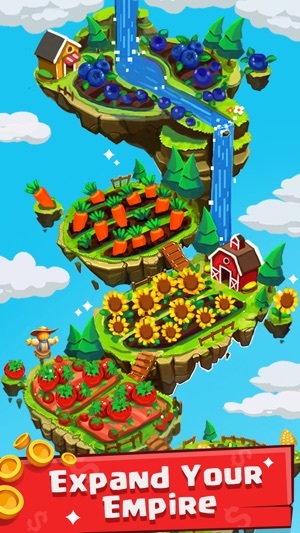 4-Manage many different farms as you grow your empire, harvest corns, sunflowers, blueberries and more! 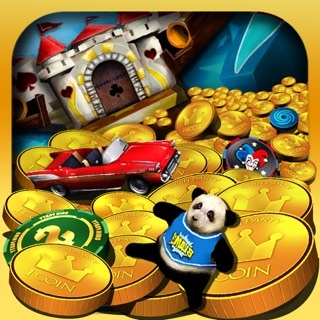 5-Play anywhere, anytime! no internet connection required! So are you ready to farm your way to the top of the world? Always remember: as you sow, so shall you become a flipping tycoon! 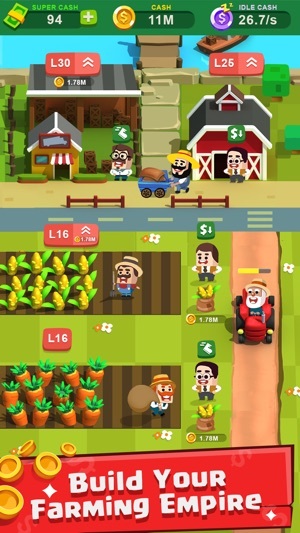 In love with our other idle games, check out the idle farming tycoon game and get the complete Farming experience. 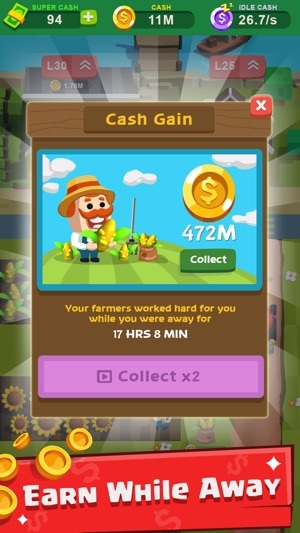 With a variety to different crops from corn, tomatoes, rice, wheat, fruits, potatoes and many more to hiring the most effective farmers in their trade make this one of the best farm games on the play store. Time to automate and grow the most profitable farming empire of the decade! 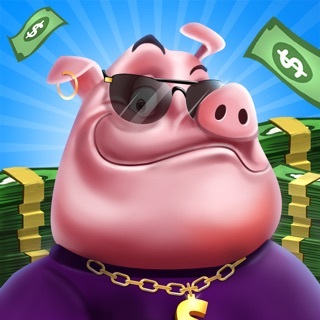 Make smart investments into a wide variety of whacky crops and farmers and you'll earn millions and billions in no time. 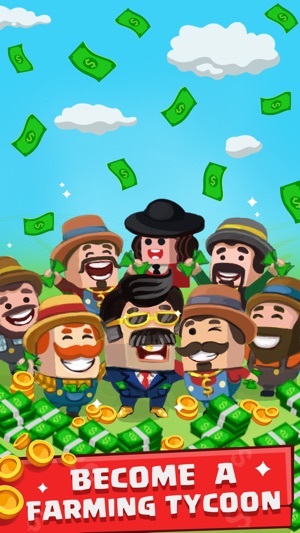 Can you build the most profitable farming business in the planet and be the best bauer in this idle game? Constant profit and automation will help you build your empire, Checkout the new changes to the Agricola and get your farm’s profits registered to compare with other crop farmers. The bauer with the biggest crop and farm will be the ultimate tycoon. It would be so better without every 2 mins I get an ad thrown in my face while am trying to play the game ! Sad to say I had to delete because it was too much trouble to try to play when I can’t play game with ads every 2 seconds! I use to love this game, played it a lot. But now there is an advertising banner along the bottom of the screen and I can’t tap on something the game wants me to tap on. So I basically can’t do anything. If not fixed, will have to delete.